Who we are and what does it mean to be Anglican? MT PLEASANT, SC – Monday May 23, 2016, clergy and lay delegates from the Diocese of the Carolinas voted unanimously to elect Bishop David C. Bryan as the first Suffragan Bishop of the Diocese of the Carolinas. 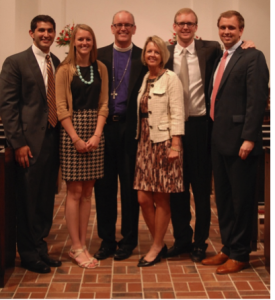 Bryan has served as Bishop of the Southeast (PEARUSA) Network since September 2013. This Network, one of three in PEARUSA, is part of a missionary district established by the Anglican Province of Rwanda in the United States. This June, Archbishop Rwaje of Rwanda will formally hand over all three networks to Archbishop Foley Beach and the Anglican Church in North America. Two of the networks will become dioceses. The clergy and churches in Bishop Bryan’s network will have the opportunity to become part of an already existing Diocese of the Carolinas under Bishop Steve Wood. 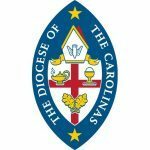 The clergy and parishes in Bishop Bryan’s PEARUSA network will have until July 1 to apply for admittance into the Diocese of the Carolinas. Related to the actions of the Southeast (PEARUSA) Network, Bishop Thad Barnum has accepted the position of Assisting Bishop in the Diocese of the Carolinas where Bishop Barnum has established an Office of Clergy Care attending to the personal and spiritual well-being of the clergy. +Thad and his wife Erilynne have four grown children and eleven grandchildren. They reside in Pawleys Island, SC. +David and his wife Nancy have three grown children, with two married and one engaged. They reside in Columbia, SC. +Steve and his wife Jacqui have four grown children and two grandchildren. They reside in Mt. Pleasant, SC.